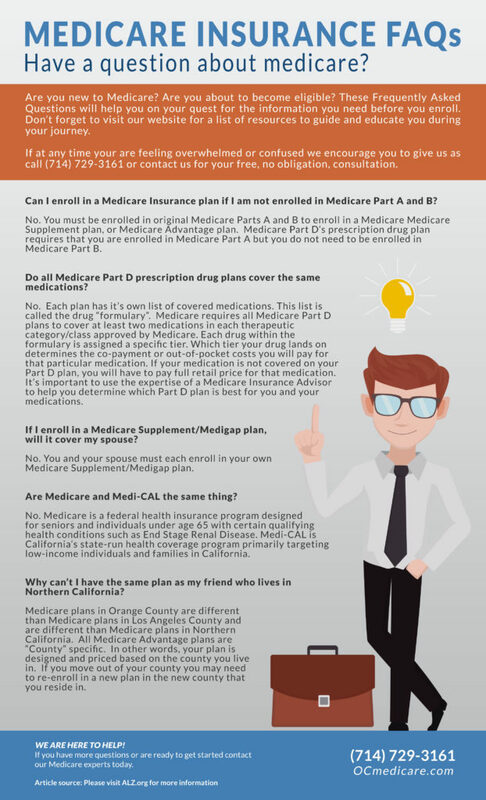 Are you new to Medicare? Are you about to become eligible? These Frequently Asked Questions will help you on your quest for the information you need before you enroll. Don’t forget to visit our website for a list of resources to guide and educate you during your journey. If at any time your are feeling overwhelmed or confused we encourage you to give us as call (714) 729-3161 or contact us for your free, no obligation, consultation.